Fashion designer, businesswoman and philanthropist Tina Knowles Lawson has been honored by Sundial Brands with the company’s first Community Commerce Impact Award for her philanthropic work in the community. 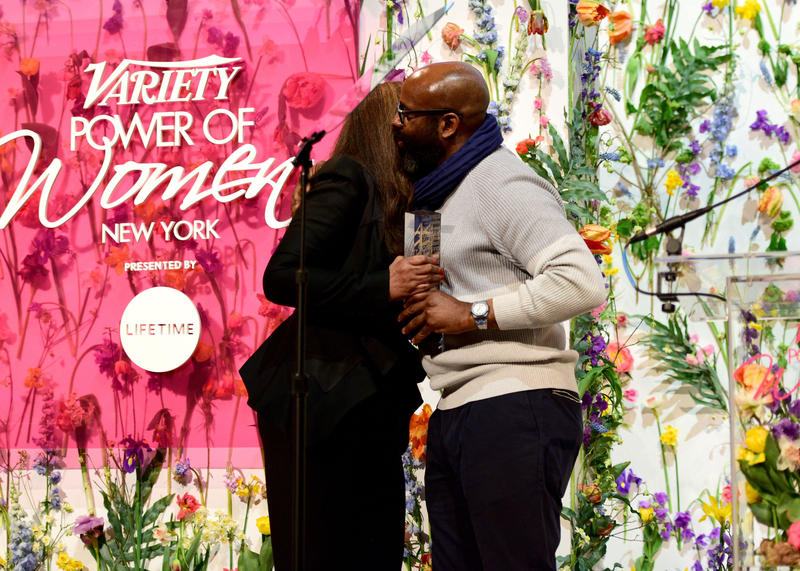 The award was presented to Knowles Lawson by natural hair care company SheaMoisture at the Variety Power of Women Luncheon in New York on April 21. Along with her busy life as the mother of Grammy-winning sisters Beyoncé and Solange, Knowles Lawson has made it her mission to be involved in the lives of young people in her community. In 2002, Knowles Lawson donated $1.5 million to help build the Knowles-Rowland Center for Youth, along with close family friend and Destiny’s Child member Kelly Rowland and St. John’s Church in Houston. Three years later, Knowles Lawson and Rowland teamed up again to establish The Survivor Foundation to help provide transitional housing for Hurricane Katrina evacuees who were forced out of their homes and relocated to Houston and surrounding areas. In 2010, Knowles Lawson and her family donated an additional $1.5 million toward a housing project for the homeless in Houston. That same year, Knowles Lawson and daughter Beyoncé created the Beyoncé Cosmetology Center at Phoenix House Career Academy in New York. The seven-month cosmetology training program for adults not only empowers women but also teaches marketable job skills that can be used to hold a sustainable career after completion of the program. Most recently, Knowles Lawson and husband, Richard, launched the Where Art Can Occur Theater Center in Los Angeles, which serves as community support for local artists. Richelieu Dennis, CEO of Sundial Brands, hugs Tina Knowles Lawson during Variety’s Power of Women luncheon. Taking into consideration everything Knowles Lawson has done for those around her, choosing to honor her charitable efforts was a no-brainer for Sundial Brands founder and CEO Richelieu Dennis. Knowles Lawson, who said she was humbled to be chosen for the award, used part of her speech to thank Sundial Brands for honoring her, and she encouraged others to use their blessings, platforms and resources to help those in need. Other honorees recognized at this year’s luncheon included co-anchor of CBS This Morning Gayle King, actress and singer Audra McDonald, actress Jessica Chastain, media executive Shari Redstone, actress Blake Lively and vice chairwoman of the Clinton Foundation Chelsea Clinton.